The Christmas countdown is well and truly on its way and what better time to start your shopping then now and get in before the rush and take the stress out of Christmas shopping. Buying gifts gets hardier and hardier every year and trying to show someone how much they mean to you with a beautiful gift without breaking the bank is becoming more difficult. If you're looking to buy a gift for that someone special, whether it be a partner, mother, sister or best friend, jewellery can be the perfect gift. Giving them something that will last them a life time and will show them how much you mean to them. I mean what women doesn't like Jewellery? Online shopping has become really popular over the last couple of years, sitting at home without the stress of busy shops and large crowds sounds so much more relaxing and civilised. 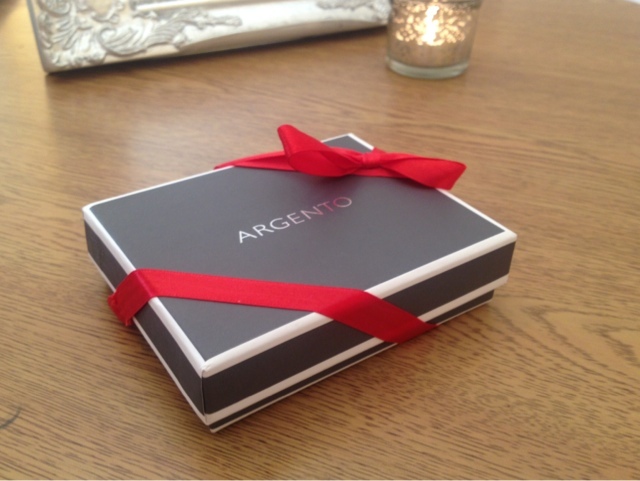 Argento Jewellers is not a site I had heard of before, but when I did and checked out their offerings I found myself quite excited at all the beautiful pieces of jewellery they had to suit every budget. They showcase a extensive range of jewellery from brands such as Pandora, Thomas Sabo, Trollbeads and Hugo Boss. 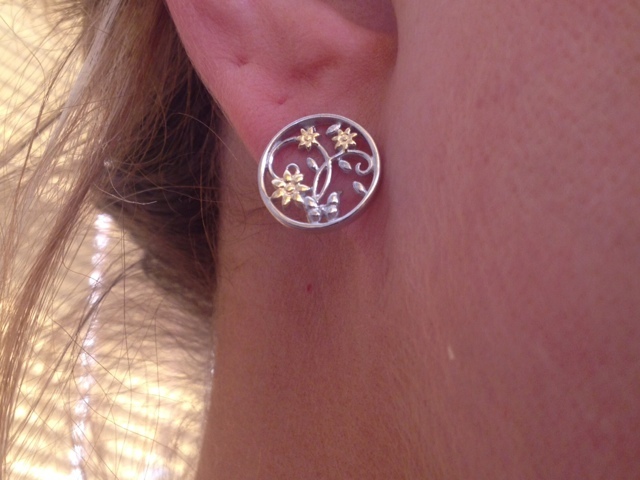 The earrings above are from there own range and are the Blossom Studs*. 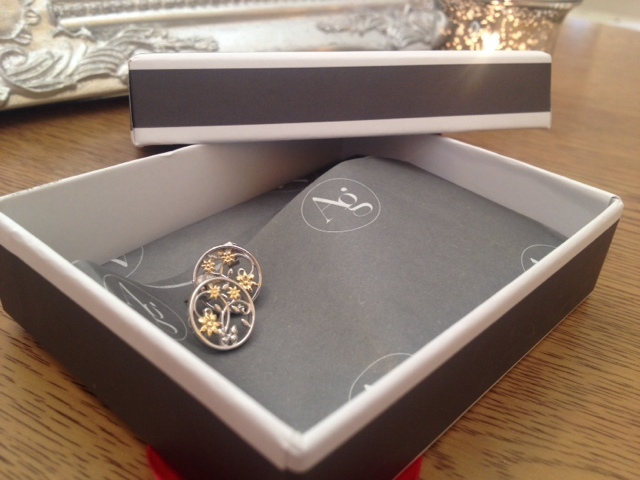 The Blossom Studs are made from 925 silver with gold detailing, perfect for ladies who like to mix up their silver and gold jewellery. The earrings are beautifully made with exquisite detailing, a classic almost timeless design that would suit any age group. They are super comfortable to wear and are fastened with butterfly backs. They came gift wrapped in a simple elegant box with a red bow, ideal for people like my husband who find wrapping presents something of a challenge! 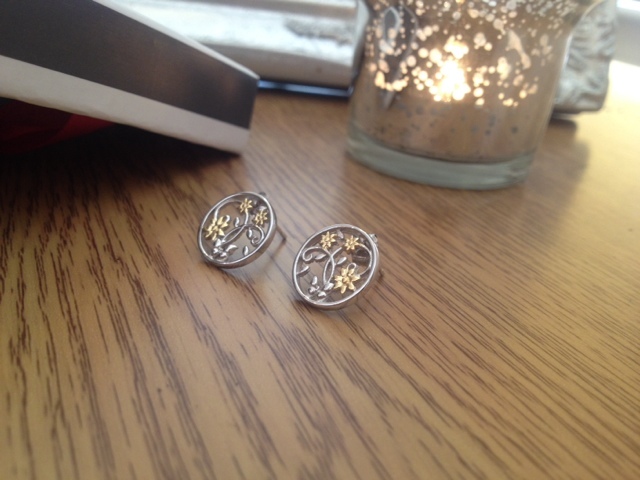 These earring like most of their own brand jewellery are priced in a very attractive way, £30.00 to be exact. Silver studs from the Argento range start at £8.00, but you can also find Necklaces, Bracelets, Watches and Rings all with the same fantastic value. Does anything take your fancy? Have you found the perfect Christmas gift? The packaging is lovely and i love the detailing of these earrings :) I think the price is quite reasonable too. Definitely a nice christmas gift for somebody special. I really like the ring with the pearl on it too - The design is so elegant and simple :) Might go check them out soon.